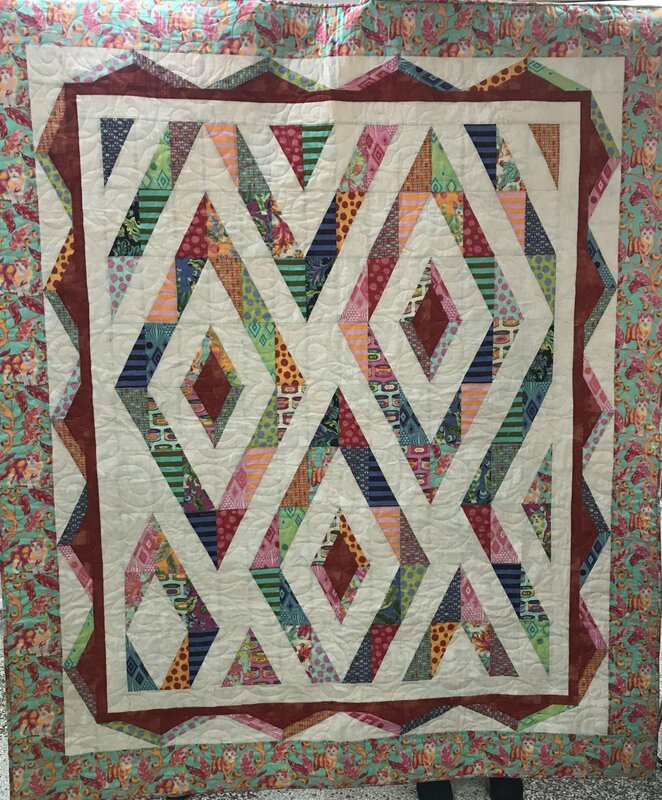 This incredibly snazzy quilt was designed by Pam Goggans of Sager Creek Quilts & Yarnworks and is constructed using only Split Rectangle units! The pattern emerges with the combination of scrappy left and right slanting units strategically placed to create the large diamonds. And for a little extra bit of extra pizzazz some of the Split Rectangles units have double diagonal seams to add a dark pop of color to the diamond centers. Using the Split Rects you will have great success with the fun and interesting design. Project size: 62" x 74"